La Flor de Ynclan, from top: Torpedo, measuring 6 inches by 52 ring gauge; Robusto, 5 by 50; and Churchill at 7 by 48. La Flor de Ynclan is back for its third act. Villiger first launched the old vintage Cuban brand as a Dominican cigar in 2007. Dissatisfied with the results, the company discontinued the brand and it has been nowhere to be seen for years. Now it's back with a readjusted blend, and it will be showcased at the upcoming IPCPR trade show. The cigar is made at the ABAM factory in the Dominican Republic and blended by José Matias Maragoto. "The La Flor de Ynclan cigar has been an ongoing labor of love for us," said Heinrich Villiger, chairman of the board of Villiger Soehne AG, in an official release. The upcoming La Flor de Ynclan is made with an Ecuadoran wrapper, Indonesian binder and a filler blend of Nicaraguan and Dominican tobaccos. It's offered in three sizes: Robusto, measuring 5 inches by 50 ring gauge; Torpedo at 6 by 52; and Churchill at 7 by 48. They are packaged in boxes of 25 and are set to retail for $11 to $12. Observant smokers who remember Villiger's last effort will notice that the band has been redesigned. What was once an allegorical female figure is now more in line with Villiger's other brands, creating more continuity from line to line. The secondary band denotes that it's part of the Flor de Ynclan series. Historically, Flor de Ynclan is an old defunct Cuban brand dating back to at least the early 1900s. It was owned and distributed by the Havana Tobacco Co., which was part of the giant U.S. monopoly The American Tobacco Co., also known as the Tobacco Trust, which owned factories in Cuba long before the rise of the Castro or even the Batista regimes. 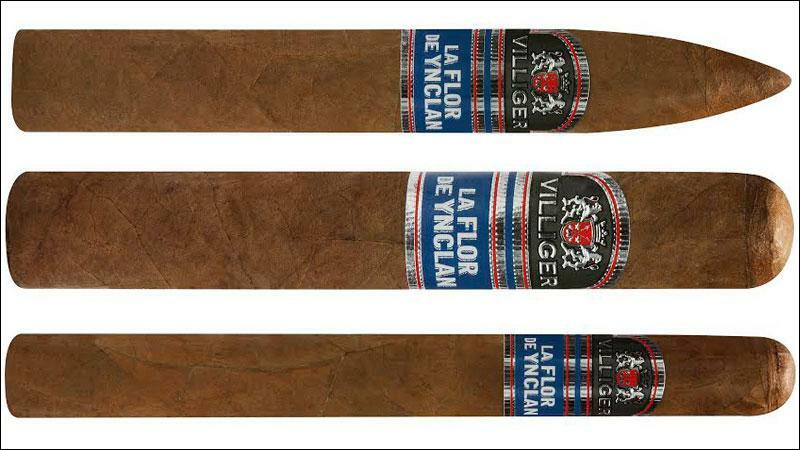 Flor de Ynclan is distributed by Villiger North America, the Swiss company's U.S. division.